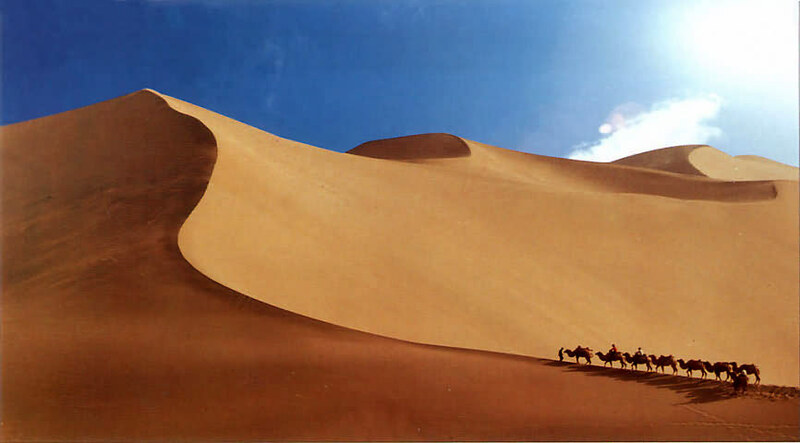 Due to the wide range of territory and the long history, Silk Road houses a large number of resources and a variety of art crafts, such as the handmade Terracotta Warriors in Xian (the capital city of Shaanxi province), dried apricots in Dunhuang (home to Mogao Grottoes in Gansu province), fruits and handicrafts in Xinjiang province, etc. 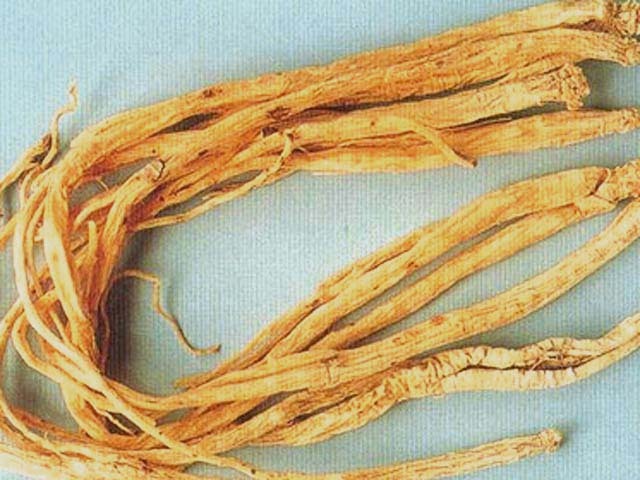 Every specialty is a representative of the local. 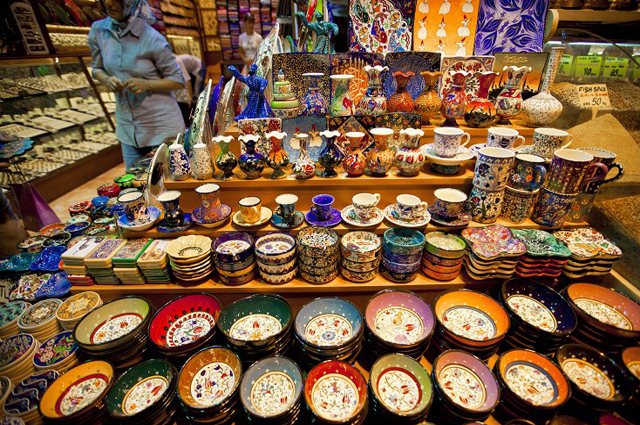 There are lots of shopping centers throughout Silk Road; each of them features distinctive souvenirs and architectural style and different ethnic groups. 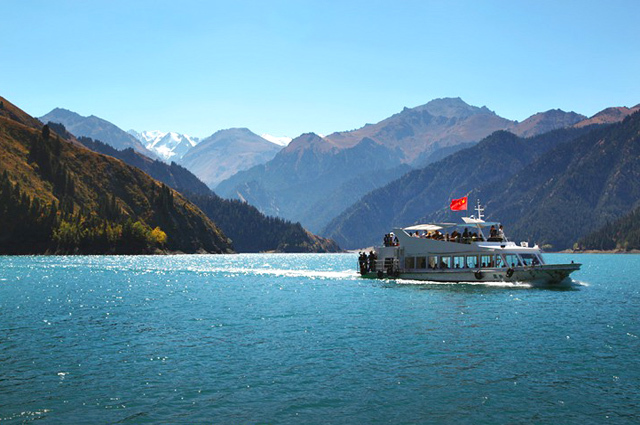 You will be immersed into such a colorful world and get an insight of the local life among your Silk Road tour. 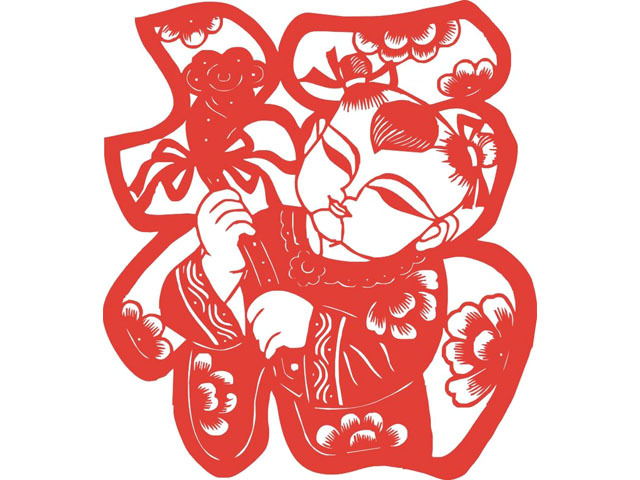 Highlighted by rich history with glorious ancient civilization, many things in Shaanxi, where the starting pointing of the ancient Silk Road - Xian is located, is full of unique historical and cultural flavors, especially folk art crafts, such as shadow play puppet, paper cutting, writing brush and ink, antiques, etc. 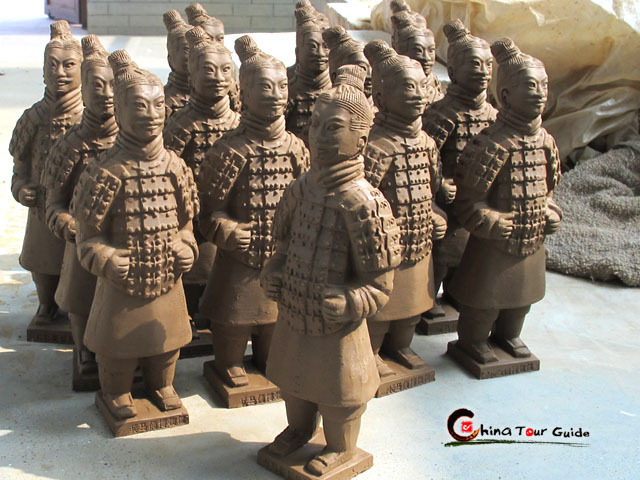 Home to the eastern mummies - Terracotta Warriors, Xian is also the birthplace of the handmade Terracotta Warriors, which are really one of the worth-collecting souvenirs. 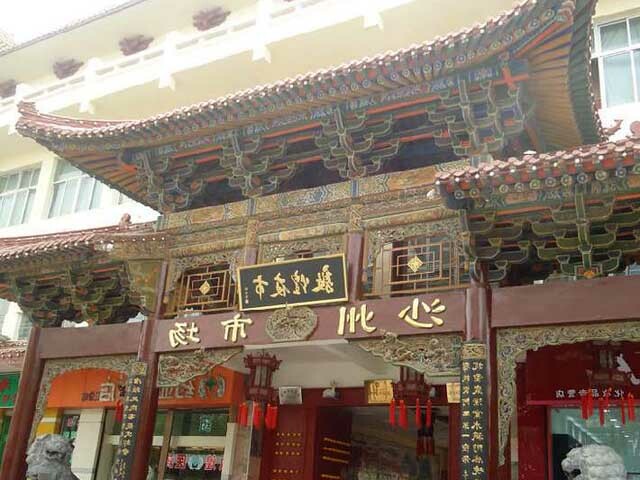 What鈥檚 more, the southwest of Shaanxi province abounds in tea, with a kind of green tea called Shaan Qing tea known throughout the nation. 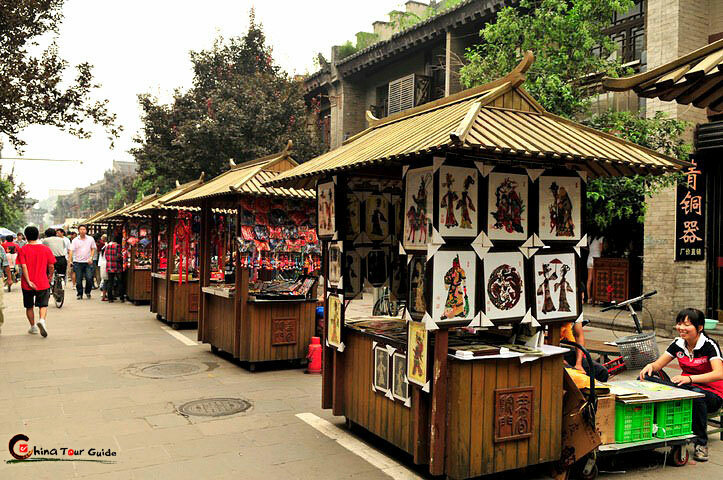 Muslim Quarter, situated in Xian, is a fascinating area housing a variety of featured food, folk art crafts and buildings in different styles, which can meet your desire of shopping and eating, as well as deepen your insight of Silk Road. 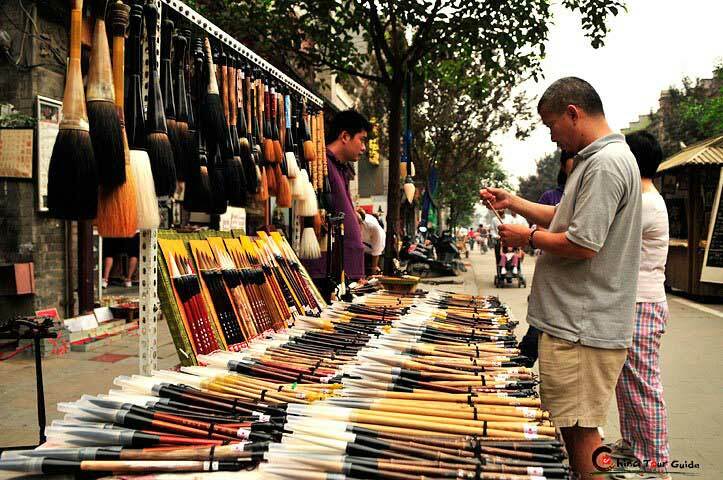 Another best shopping spot is Xian's Wenbaozhai Tour Shopping Center, an important window opening Xi'an and its unique products to the outside world, where you can find silk rugs, woolen blankets, silk clothing, jewels, jade articles, calligraphy, paintings, historical relics, antiques, model clay figures of warriors and horses, and bronze cars and horses. 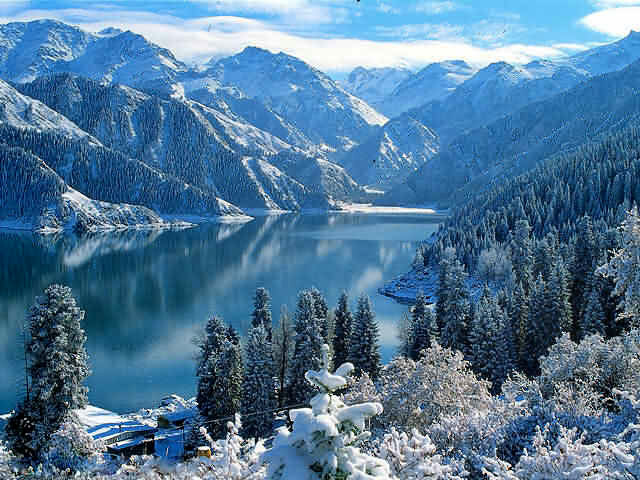 Located at the northeast edge of Qinghai-Tibet Plateau, Gansu is covered by a layer of exotic flavor and religious atmosphere. 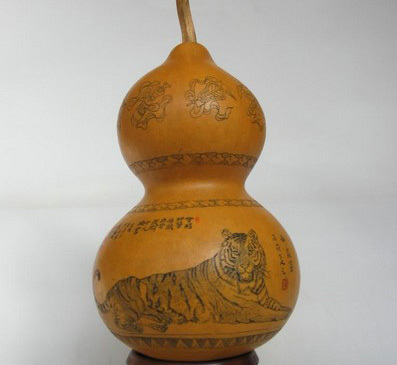 The colorful painting in Dunhuang, representing the outstanding Buddhist culture of Silk Road; Lanzhou鈥檚 calabash, carved with flowers, birds and other vivid figures, is widely exported; the noctilucent cup, which can shine in the moonlight, is famous for their special features and technique鈥n addition to the exquisite handicrafts, Gansu abounds in medical materials of various kinds and high quality, and dried fruits and nuts are also one of the local specialties, especially the dried apricot in Dunhuang. 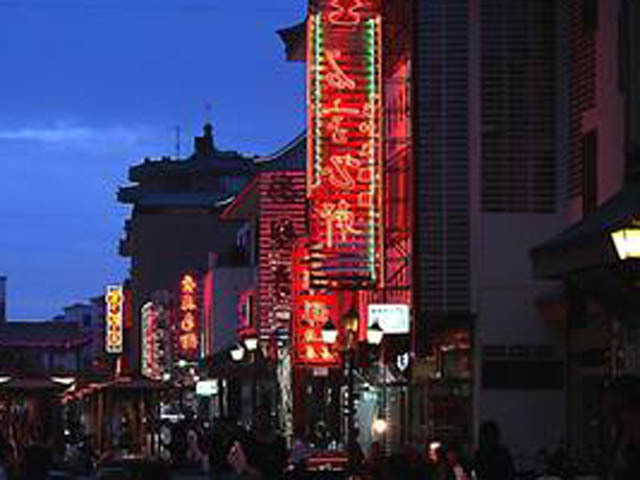 Shazhou Night Market in Dunhuang, in a little bit small scale, is one of the famous trading centers along Silk Road, as if a rose blossoms in the extensive desert. 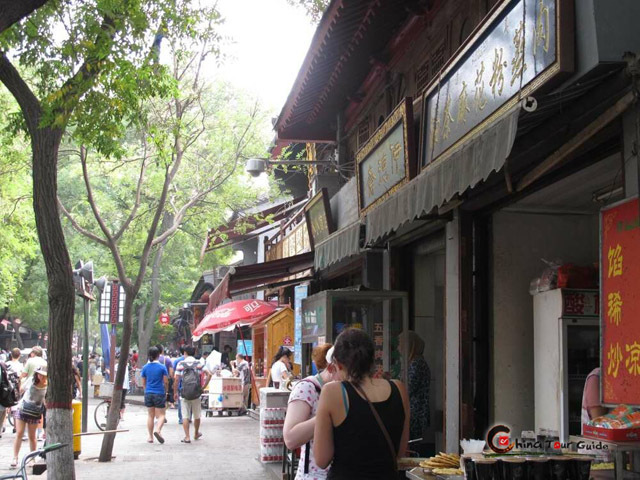 Here you can have a taste of different food and snacks while appreciating the paintings and poems on the buildings and stalls, or enjoy the lively atmosphere of the shopping street where you will see a variety of local specialties, including Chinese medical materials, luminous cups, frescos, wooden combs, medals, etc. 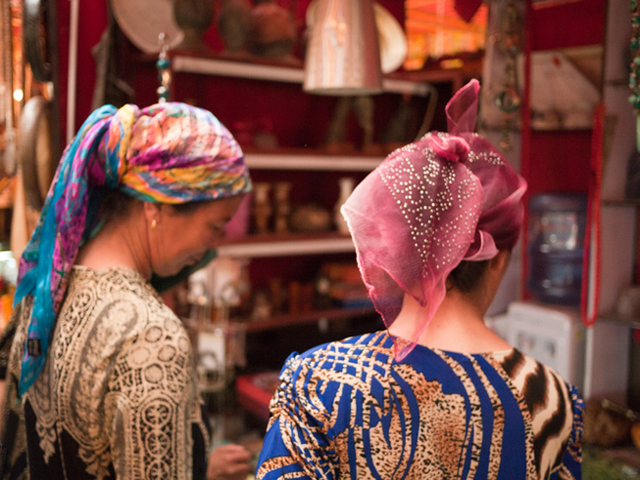 Settled by different ethnic groups, Xinjiang shows tourists a panorama of unique cultures and customs of minority, highlighted by peculiar national costumes, folklore, dietary habits, Dongba civilization, Dongjing music and characteristic architectural style. 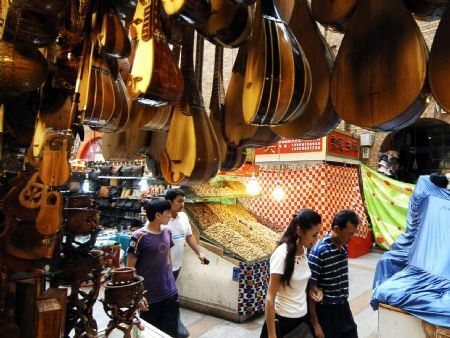 Xinjiang specialty consists of national clothes, yak ornaments, handmade jewelries, musical instruments, knives in varied shapes, etc. 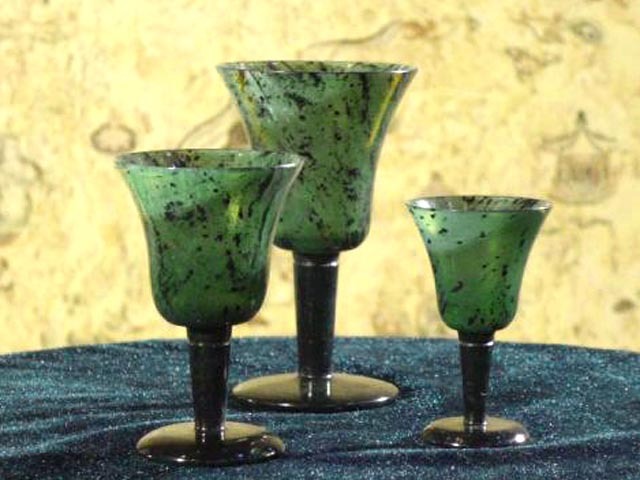 What鈥檚 more, due to the dry climate, Xinjiang is fertile in fruits, especially grapes and muskmelons. 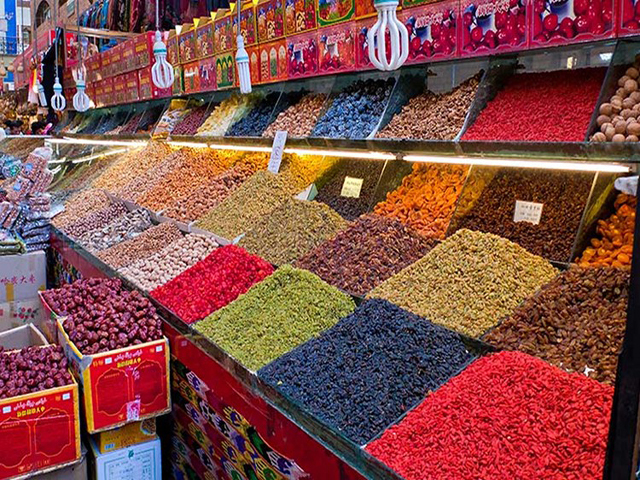 And dried grapes and red dates are well-known all over the country. 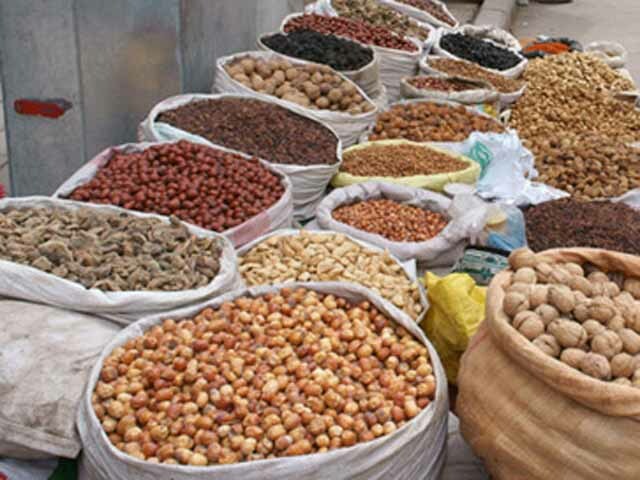 Other dried fruits, like walnuts, pecans, pistachios and beans, are also very popular. 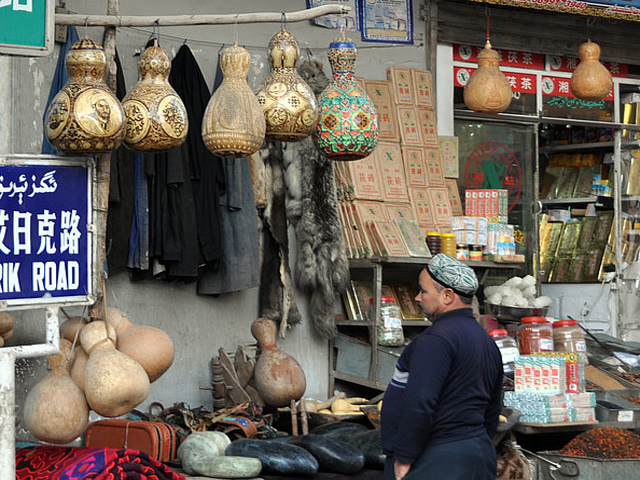 Xinjiang Bazaar means market and trade place in Uygur language, which is the shopping area in Xinjiang. 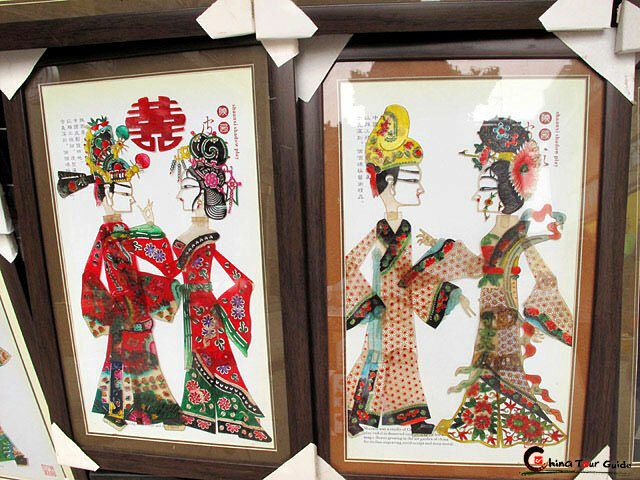 There are lots of bazaars spreading over the province, gathering many ethnic groups and subgroups in distinctive costume. 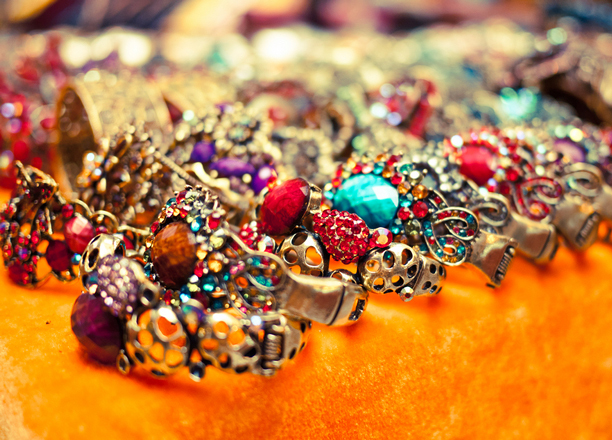 Bazaar displays various goods beyond your imagination, from fresh melons and cabbages to bolts of local silk and hand-woven rugs, plus animals, clothing, hats, knives, jewelry and other interesting things.